Details British quad cinema poster from the 1976 re-release. 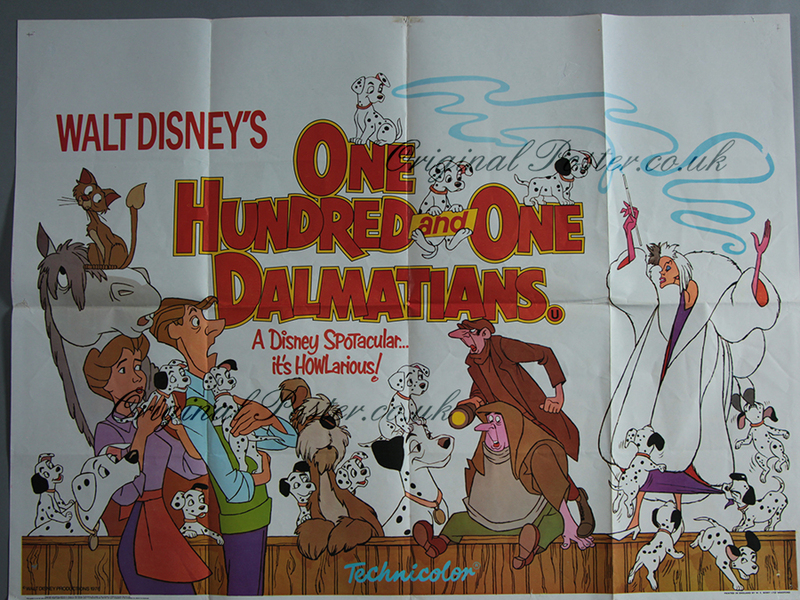 Delightful artwork for this amusing Disney film for the whole family and their pets to enjoy. "A Disney SPOTacular... It's HOWLarious!"